People often ask me why their sites are not doing well as expected or de-ranking even after publishing new contents and doing white-hat SEO as well. I always suggest them to focus on their sites’ on-page at first. That’s because there have been many great changes in Google algorithms over the last couple of years and according to recent algorithm updates, Google is paying greater attention to on-page as compared with off-page. As per some recent articles, on-page SEO is around 75% more important than off-page SEO. So it’s evident that if you want to develop your site’s rank or get satisfactory ranking in SERP, you need to focus on On-page SEO and make sure that there is no error or mistake within your site. More precisely, you need to conduct an on-page analysis to find out errors or faults within your site and make adequate actions to solve those problems. 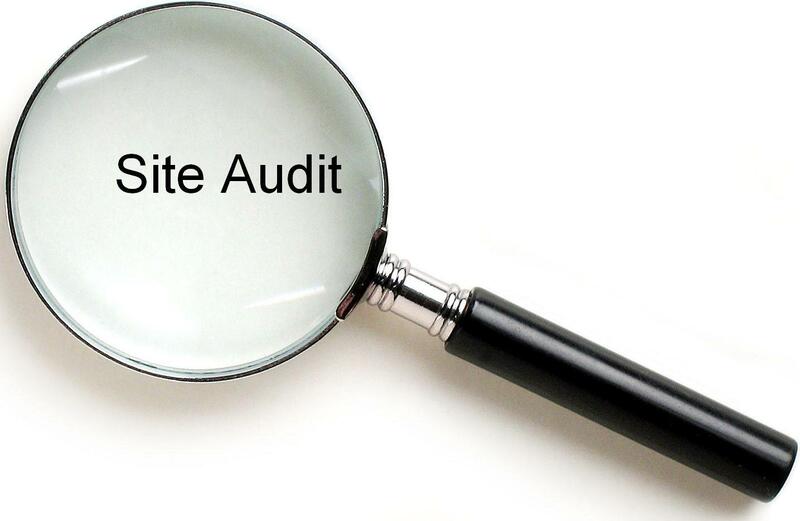 Most of the people don’t know from where they should start and what they should look at while performing an effective SEO audit within their sites. That’s why today I will focus on most important issues in which people usually make errors and mistakes. Although many people overlook but title tags are really important for better ranking of your site. Having title tags help search engines understand what your site is all about and tell search engines drive relevant visitors to your site. You can make sure whether you have added meta titles in your website simply by checking “View page source” from your web browser. Your title tags shouldn’t be more than 70 characters including spaces and make sure that you have placed your targeted keyword in the meta titles. The following image will help you understand the thing. Make sure that each page of your site has unique title and clear description of the content of that page. If you use same titles for all of your pages, search engines take it as duplicate titles and penalize the site. Never copy title tags from your competitors’ or any other websites. Always try to write unique and descriptive titles for your contents. Because unique descriptive titles increase the possibility that search engines will drive relevant audience to your site. Like meta titles, meta descriptions should also be unique. Write unique meta description for each of your content in such way that it summarizes your overall content. Meta description is an essential ranking factor as search engines display this description in the Search Engine Result Page (SERP) whenever people search over the web using specific keywords. Meta description should not be more than 160 characters including spaces. That’s because search engines show only up to 160 characters in the Search Engine Result Page (SERP). Broken links undermine user experience. If visitors go through your given links but don’t get their desired contents, they will obviously disappoint and leave your site. That’s why make sure that your site don’t have any broken links. You can check this by using “Webmaster Tools”. If webmaster tools show any broken link, you may use “Redirection” plugins in “Wordpress” CMS to redirect those broken links to live pages. Ranking of your site largely depends on effective use of anchor texts. Make sure that you have used your targeted keyword as anchor text. But one thing to remember- if you use the same keyword as anchor text for multiple times in a single post, search engines will count only the first one. So try to diversify your keywords. For example: if your targeted keyword is “hair oil”, you may also use “natural hair oil”, “best hair oil” etc. as anchor text. Pages with little or no text contents obviously don’t achieve satisfactory results as per recent algo updates. Contents of your site should be more than 450 words to get better ranking in SERP. Check out your contents’ length and add some text, if needed. And one thing to remember, don’t forget to Ping your permalink after making any update. Content is king in these days. Content is getting greater priorities in these days and search engines are pulling those sites which have unique and descriptive contents. So make sure that your site has unique contents too. You may use plagiarism checker tools like Copyscape or Small SEO Tools to check uniqueness of your contents. Internal linking is really good for better ranking of your site. But websites, building excessive outbound links, are often penalized by search engines. It’s because if you make too many external links, search engines assume that you are just publishing contents for building backlinks which is regarded as black hat SEO in recent times. So make sure that inbound and outbound links within your site are at optimal level. If search engine crawlers face problems while crawling your site or fail to crawl your contents, obviously this will affect your ranking position. Use “Webmaster Tools” to find out whether your site has any crawling and server errors. Carefully check your Robot.txt file. Because if you had inadvertently block search engine bots to crawl your contents, search engines will fail to index and display your content in the SERP. As you know, search engines can’t read non-text contents. They just read coding and letters. So if you had used any image in your site, make sure that you have added appropriate image descriptions with all the images. This will help search engines index non-text contents and make your site more accessible. That’s just a basic checklist for conducting an on-page SEO audit in a very simple way. Hope- your site’s ranking position and visitors will definitely improve if you solve your site’s on-page problems following this checklist. Great and nice tips, this kind of post is uncommon. Good idea of writing this post.Thanks for sharing.